The Spirent GSS6300 is a powerful signal generator that is specially designed for Multi-GNSS operation environment. This is a durable signal generator that is ideal for a wide range of devices that utilize commercial GLONASS, BeiDou-2, GPS/SBAS, and Galileo receivers. Customers comment that it is particularly well suited for high volume manufacturing test applications and is especially adept when performing controlled testing for accurate assembly, and for verification of desired operation parameters. The GSS6300 signal generator stands out as a powerful single channel device that is simple to use and assists the technician in all phases of production testing. It’s ideally designed for professionals who are looking for a robust test solution in a Multi-GNSS manufacturing environment. This series model is known for versatility and allows users to make a wide range of test configurations. It also allows for configuration of a specific constellation using a single channel, as well as multiple constellations configuration. Some of the configurations that can be achieved with the generator include the following: GLONASS only; GPS only; Galileo only; GPS and Galileo; GPS and GLONASS; GPS and BeiDou; GPS, GLONASS, BeiDou-2, and Galileo; and GPS, GLONASS, and Galileo. 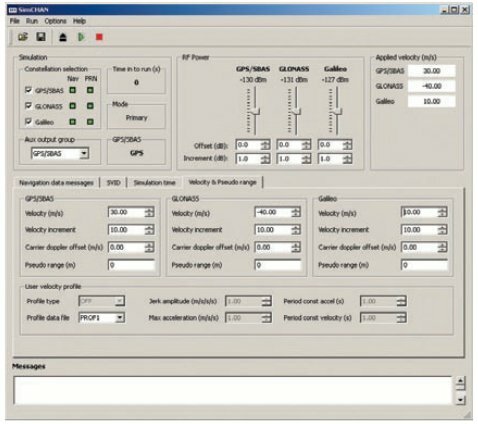 Technicians will note the interface and specification features for GPS L1 C/A code test applications are identical to other Spirent GSS6000 series models, and will appreciate the same quality functionality. Operators can make use of a license key to generate signals from the diverse constellations. The GSS6300 generator is designed to generate a variety of signals concurrently when all license keys are available. It can generate a multiple of signals include single GPS signal, single BeiDou-2 signal, single GLONASS signal, and single Galileo signal. The design of the Spirent GSS6300 signal generator allows users to easily integrate the equipment into several different manufacturing test environments. Excellent remote control capability is available by using either USB or IEEE448 standard interfaces. A software utility is conveniently supplied for laboratory operations. 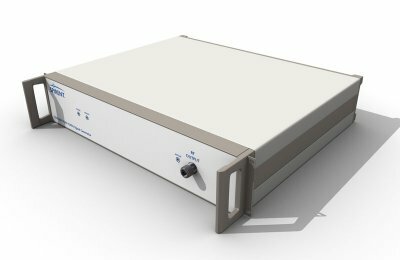 The GUI-driven SimCHAN is ideal for a wide range of laboratory operations, and is especially useful with RF design work. Many customers remark that the GS6300 is indispensable for testing in the manufacturing environment. It produces specific GLONASS, GPS/SBSA, Galileo L1, and BeiDou-2 signals. The equipment features easy integration with ATE control systems and various related technology. It allows configuration to minimize the test time required per device. Disruptions and downtimes are reduced significantly when the equipment is calibrated in the in-rack mode. Other features of note include the capability to be easily synchronized to systems through 1PPS/Trigger. Additionally, it excels by allowing users to exercise control over test parameters, and features a comprehensive control ICD. This control ICD enhances manufacturing test rig integration and also features IEEE488 and USB interfaces for control purposes,. It is also specifically designed to support L1 SBAS messaging. In summary, the GS6300’s quality design and long term reliability are well known in the industry and Spirent’s popularity with testing engineers continues to be strong. This entry was posted in Site News and tagged Spirent GSS6300 Signal Generator Review. Bookmark the permalink.